REsources and tools To Help You Grow. What I write and talk about in my blog is the result of many years of reading, researching, attending classes, trying out new ideas and looking for ways to improve myself and achieve my goals. Below is a list of my most recommended resources to help you grow - this list will grow to include my favourite books, apps, podcasts, products, courses and tools which you can utilise to help you increase your knowledge and maximise your results. I only include the products that I personally use and trust, so before diving into the list it's important for me to disclose that some of the links below are affiliate links, which means that if you choose to make a purchase, I will earn a commission. This commission comes at no additional cost to you. Please do not spend any money on these products unless you feel you need them or that they will help you achieve your goals. My absolute number one tip if you are going to get creative is to invest in a simple notebook and pen and begin to put down on paper what is on your mind. Yes, that means physically write it down on paper! I use a Moleskine, ruled soft notebook - Like the one pictured on the left, because it's a convenient size (Approx. 21cm x 13cm), its soft covered, it's waterproof (and coffee proof, trust me) and it's incredibly durable. Every single article I write for my blog is written first in a notebook exactly like this. It's a fundamental part of my practice and a tool I cannot be without. The second essential tool I'm always carrying around is my week-to-a-page planner. My time is important to me and it should be the same for you, so it's important to take the time to know what's happening in your life in advance. I make sure I have this with me and I set aside time pretty much every day so that I don't lose track of any of the meetings, deadlines, events or plans that are happening. The week to a page style is a preference of mine because I like to be able to see the week in advance as I move through the current week. Once again Moleskine has a great product which meets my needs, but by all means find the style, size and format that suits you. I'm always looking for ways to improve the way I do things, whether that be with my time management, writing skills, efficiency in completing important task or training. There are so many great tools and apps available these days which can be so helpful in a number of areas. Below are a few of my personal favourites which I use in my everyday life. Grammarly is one of the most used tools I use on my computer and phone to improve and edit my grammar. It's a simple to use tool that you can connect to your word processor, emails, internet browser and even your text messages to ensure your writing is sharp and correct. 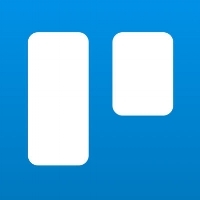 Trello is an easy to use tool which helps you make simple lists and keep track of projects and sub-tasks. If you're a list maker like me you will find this tool instantly helpful. I use it in addition to my physical planner and for projects that I'm collaborating with other people on. Evernote is an incredibly powerful tool I use for keeping track of research, notes, interesting web pages, important documents and collaborative projects. It easily transfers across any of my devices so if I see or do something important online I can save it to one of my notebooks and come back to it later on. This is an App I've been using for a while now and the more I use it the more I love it. Strong helps you to keep track of all of your workout data in one place. It keeps your workout history and maps your progress on different exercises so you know exactly how you are measuring up. I've built this website from day one personally using Squarespace. Squarespace is an incredibly easy platform to understand once you get the hang of it and I am always very impressed with the amount of detail and customisation I can add to my pages. They also provide exceptional support services and help resources which allow me the freedom to personally create and present pretty much anything I can imagine on my own web pages. G Suite - Gmail, Google Drive and Google docs all in one. I use Google's G Suite for my business emails, they also have useful cloud storage with G Drive and Google docs which make things very easy when you are operating on a number of different devices.